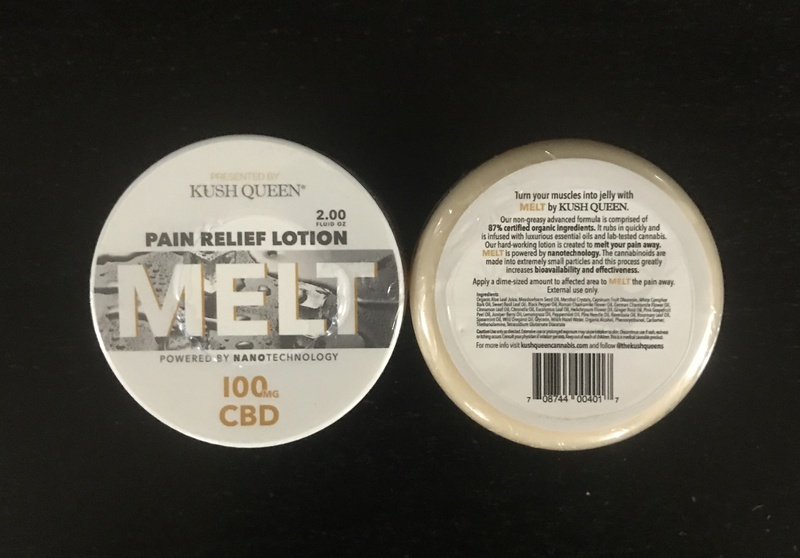 Kush Queen MELT CBD Lotion is a water-based topical lotion with aloe vera juice. If a non-sticky, non-greasy topical solution is what you are looking for, then this is the perfect product for you. Unlike most other topicals that leaves an oily or sticky residue, it is smooth on your skin and gets absorbed immediately it is applied. Melt contains a synergistic blend of menthol, capsicum, and camphor oil, a combination that is topped off with 20 essential oils particularly developed to grant you pain relief while stimulating the affected skin area with that hot-icy sensation of cooling menthol and warming capsicum. 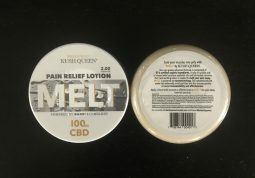 Kush Queen MELT CBD Pain Relief Lotion is guaranteed to melt away your pain with each application of the lotion. As against the larger version of the product, the 30 mg container is affordable and portable, making it a great product to have on you every time. Whenever you need it, make sure you don’t deny yourself of that dose of relief you deserve, whether heavy or light. This product is handmade, 100% vegan, and composed of 73% certified organic ingredients. All ingredients are chosen with the most sensitive skin in mind. Kush Queen MELT CBD is the best for Pain Relief. Best CBD lotion I’ve tried, very effective !!! Removes pain and makes me happyyyy! Best Medicine as pain cleaner!!!! Cute smell, My favorite lotion!!!!! !